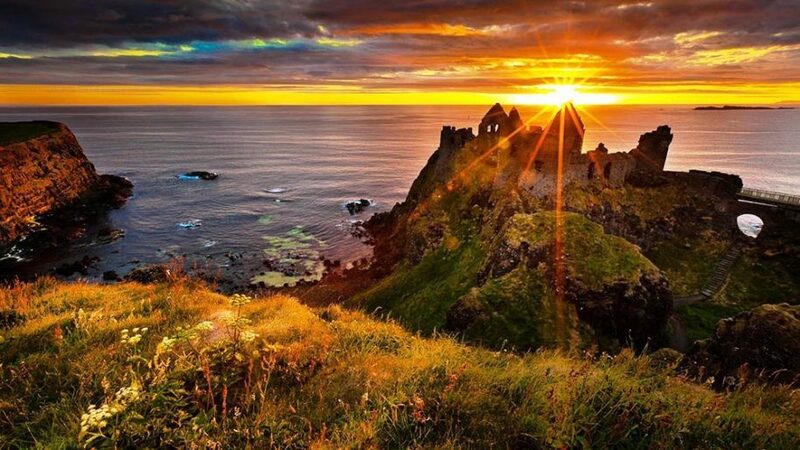 When taking a trip along the Causeway Coastal Route, Dunluce Castle is one of Northern Ireland’s most famous and most photographed landmarks. The medieval ruin stands on the edge of a cliff and can be approached only by a bridge. Dating from 1500, it has a fascinating history – it was once owned by Winston Churchill – tea room, café and amazing sea views. Well worth a trip.